Reflecting on one of Hinduism's most popular prayer for positive energyAcclaimed mythologist Devdutt Pattanaik demystifies the Hanuman Chalisa for the contemporary reader. His unique approach makes the ancient hymn accessible, combined as it is with his trademark illustrations.Every time we experience negativity in the world and within ourselves, every time we encounter jealousy, rage and frustration, manifesting as violation and violence, we hear, or read, the Hanuman Chalisa. 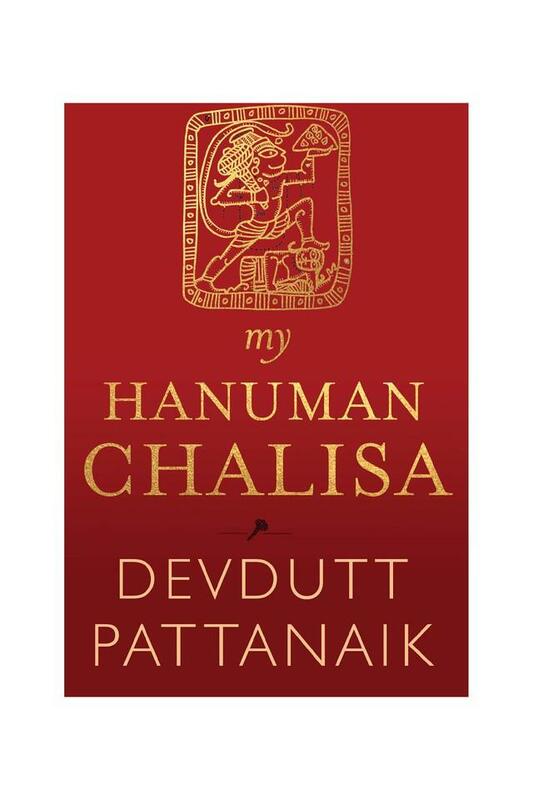 Composed over four hundred years ago by Tulsidas, its simple words in Awadhi, a dialect of Hindi and its simple metre, musically and very potently evoke the mythology, history and mystery of Hanuman, the much-loved Hindu deity, through whom Vedic wisdom reached the masses. As verse follows verse, our frightened, crumpled mind begins to expand with knowledge and insight and our faith in humanity, both within and without, is restored. Devdutt Pattanaik writes and lectures on the relevance of mythology in modern times. He has written over 500 articles in newspapers, and thirty books, which include My Gita, Business Sutra: A Very Indian Approach to Management, Jaya: An Illustrated Retelling of the Mahabharata, Sita: An Illustrated Retelling of the Ramayana, 7 Secrets of Hindu Calendar Art, 7 Secrets of Shiva, 7 Secrets of Vishnu, 7 Secrets of the Goddess, The Book of Ram, 99 Thoughts on Ganesha, Shikhandi and Other Tales They Dont Tell You and Myth=Mithya: Decoding Hindu Mythology. He lives in Mumbai.